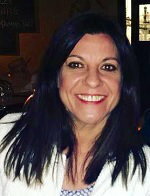 Hello everyone…..I’m Julie Cunningham, Business Development Manager for Routes. I have worked in the Health and Social sector for over 10 years, mainly in operational management, covering Doctors, Nurses, Complex Care and Domiciliary Care. I am very passionate about making a difference to the lives of people we support in our local communities, and I hope my new role will lead to us supplying our high standard of care to other parts of the country. DISLIKES:Negativity oh and putting petrol in my car! FUNNY FACT: (I have many) Can’t get in the shower unless my bed is made! WANT TO DO BEFORE I DIE: Learn to speak Portuguese which will come in handy when I’ve bought my holiday home there…….ok back to work!